Princess Cruises To Hawaii Review - Best Intineraries! Princess Cruise Lines pride themselves as being one of the best lines currently sailing the oceans today. Their itineraries are as vast as the world itself as they travel to so many varied destinations. Princess cruises to Hawaii are no exception, as they have itineraries that depart from either Los Angeles or San Francisco and tour the many islands that make up the state of Hawaii. Hawaii cruises 2012 are offered until the end of the year on either itinerary from Princess. The Princess Hawaiian Islands cruise from San Francisco is a 15 night affair that includes stops in Hilo, Honolulu, Kauai, Maui and Mexico before heading home. With several sailing dates remaining in 2012 and a whole host of dates for 2013 and 2014, you are sure to find the one that suits you best. Hawaiian cruises from Los Angeles are 14 days in duration and are aboard either the Golden Princess or the Sapphire Princess. These are round-trip sailings that have many dates available both for the end of this year as well as 2013. This cruise stops in Hilo, Honolulu, Kauai, Maui and Mexico. 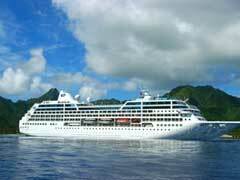 Princess cruises to Hawaii also shake up the itinerary a tiny bit for sailings that leave Los Angeles. While some visit Hilo first, others make this a later destination, and some cruises will include Kona, while others do not. Depending on which parts of each island you wish to see, the itinerary will be slightly different, though the duration and prices remain relatively the same. Hawaii cruise deals can be found on Princess cruises to Hawaii as well as their other destinations. Early booking bonuses or late booking deals can be had either through a travel agent or on any one of a number of discount cruise websites. Hawaii is a beautiful place to visit because of its diversity and culture. No two islands are alike, though you can find plenty of things to do in Hawaii on all of the islands. Snorkeling with dolphins, petting manta rays, travelling into a dormant volcano, biking down a dormant volcano and touring historic sugar cane plantations and the WWII memorial to the USS Arizona are all things that can be done as you tour these lovely islands. Add zip lines, tubing, water parks, national parks and rainforests and beaches and you have yourself a once in a lifetime vacation. With Princess cruises to Hawaii your adventure is only just beginning.